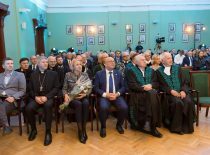 On Friday, November 9 the celebratory inauguration ceremony of Kaunas University of Technology (KTU) Rector Eugenijus Valatka took place. 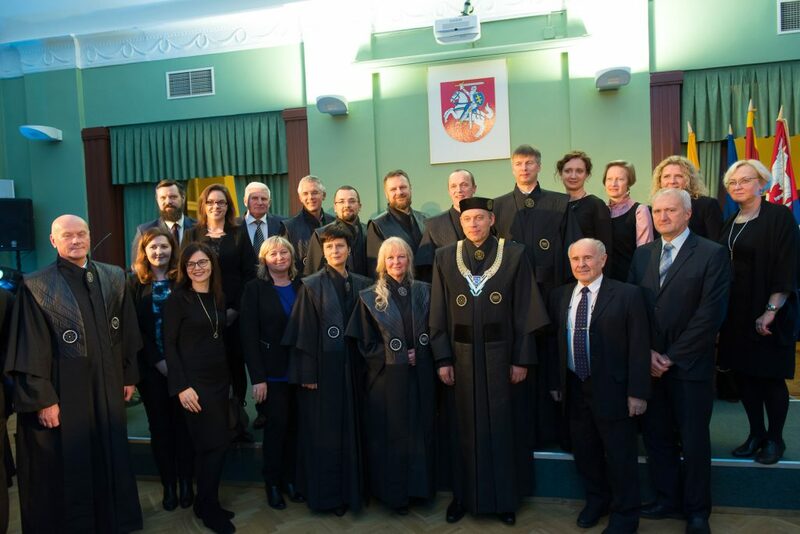 The renowned members of Lithuanian academic community, State and city government officials greeted the Rector after the ceremony. 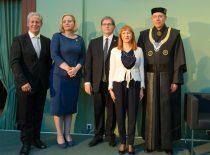 “You have been granted an honour and responsibility to lead one of the strongest higher education institutions not only in Lithuania, but also in the Baltic Region. 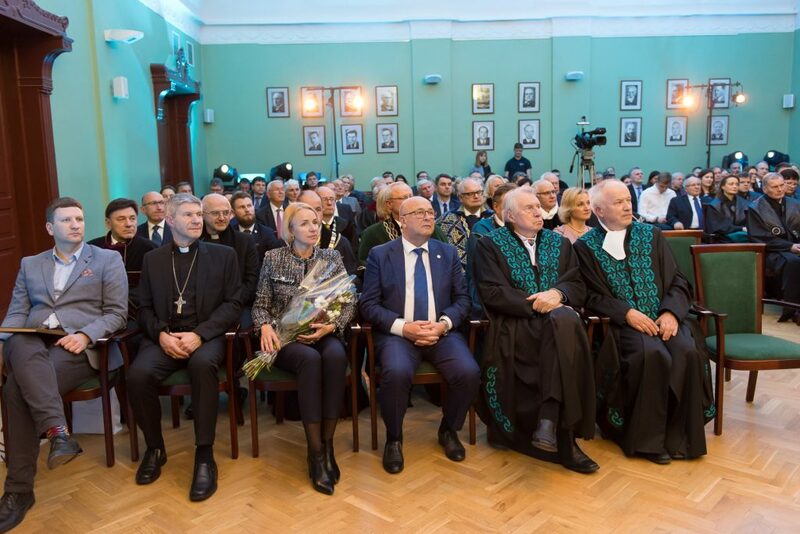 I wish that the new rector would bring changes, new opportunities, and would successfully lead KTU to the top league of European universities”, Lithuanian President’s Dalia Grybauskaitė greetings were read by Advisor to the President Office Saulė Mačiukaitė-Žvinienė. 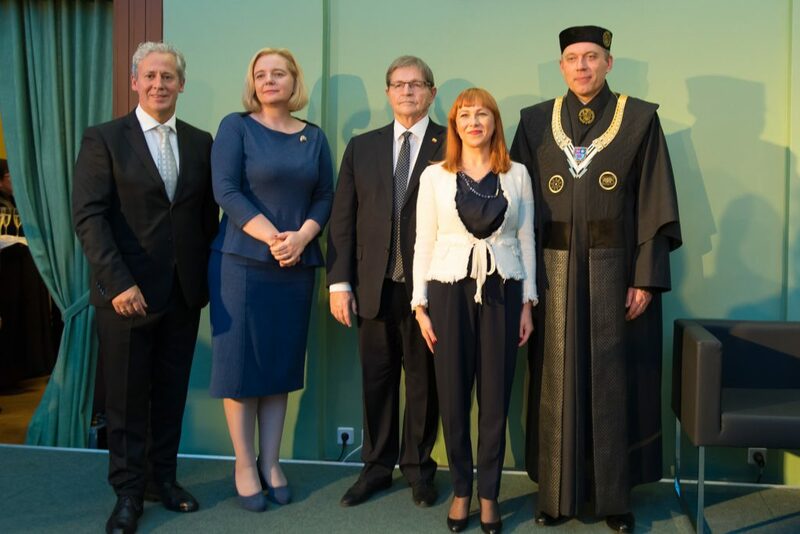 Among the guests of the ceremony were the Lithuanian Minister of Education and Science Jurgita Petrauskienė, the Chairman of the Parliamentarian Committee for Education and Science Eugenijus Jovaiša, Vilnius University Rector and President of the Lithuanian Rector’s Conference Artūras Žukauskas, Kaunas City mayor Visvaldas Matijošaitis and other renowned citizens, politicians, public figures and academics. “Today is the very beginning of my rector’s term, therefore I would not like to talk irresponsibly about the future; better to wait until I prove with real work that my decision to take this responsibility and honour was right and fulfilling the expectations of the society. 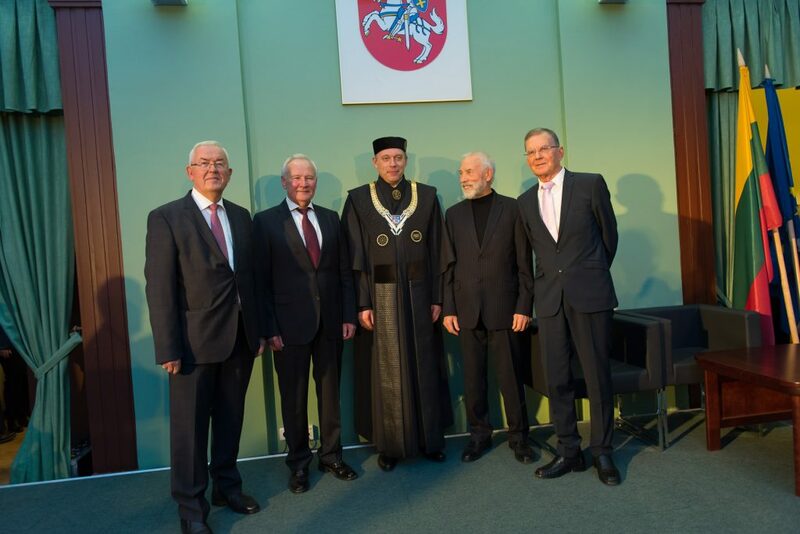 Although the university was changing through the years, I am convinced that its essence will remain the same – to raise responsible, creative citizens, and to sustain the statehood of Lithuania”, said Eugenijus Valatka in his inaugural speech. 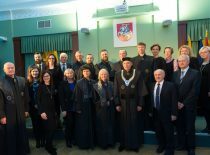 Last week the Rector and his team were celebrating the symbolic occasion of First 100 Days of term. 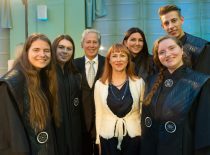 The meetings with the University community were organised in order to introduce the Rector’s agenda, the planned and achieved goals. 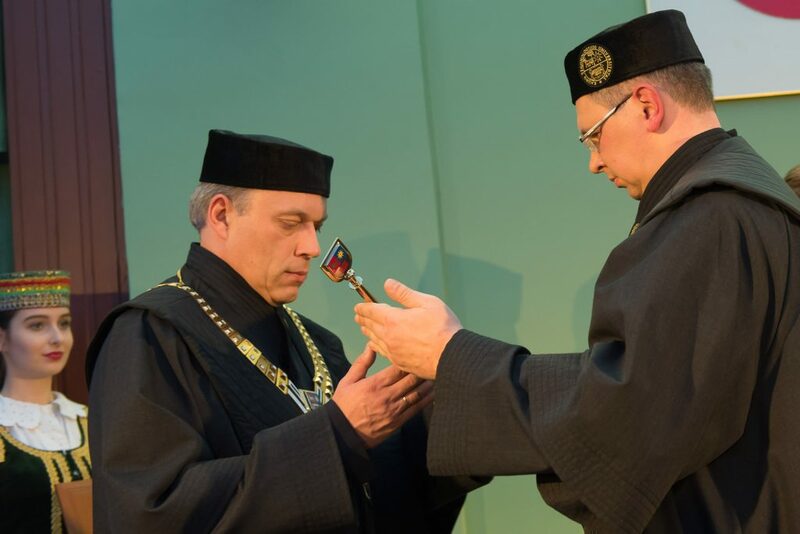 Professor Eugenijus Valatka is the 24th Rector of KTU. He was appointed to work in the position by the University Council on July 13, 2018. 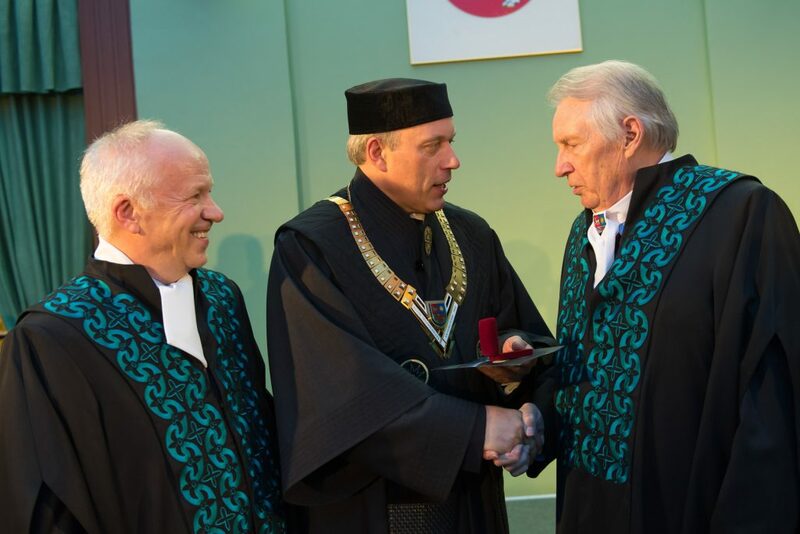 The Rector supports the vision of KTU as a comprehensive University focusing on competences in physical and technological sciences, recognised internationally as the hub of contemporary technologies and knowledge. 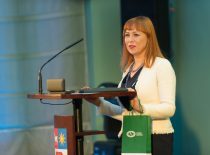 Professor Valatka, born in 1971 in Jieznas, has been the Dean of KTU Faculty of Chemical Technologies since 2011. 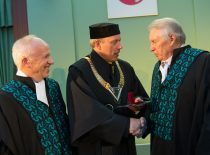 Eugenijus Valatka got his doctoral degree in 2000 after defending his doctoral dissertation in KTU and in the 13th University of Paris. In 2002 he obtained associate professor, and in 2012 – professor title. 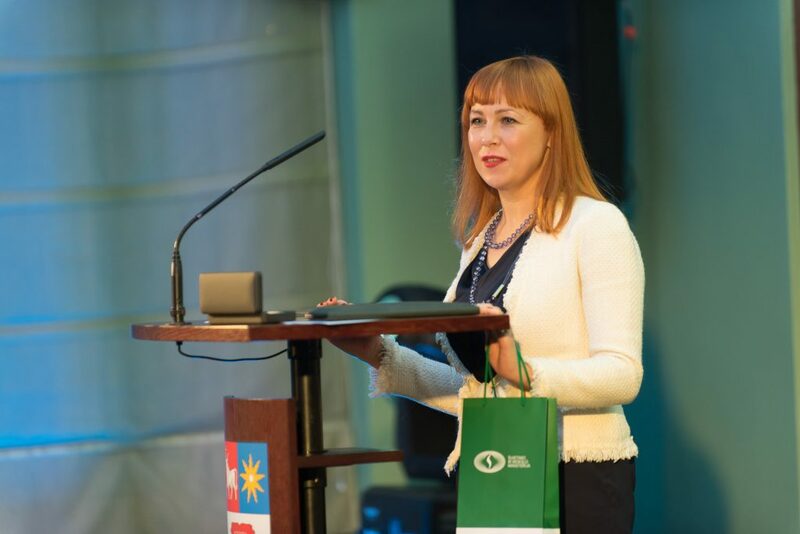 Research interests of Rector Valatka include catalysis, electrochemistry, photochemistry. During his scientific career he participated in more than 40 national and international conferences, has published more than 70 scientific publications in science journals with high citation impact. 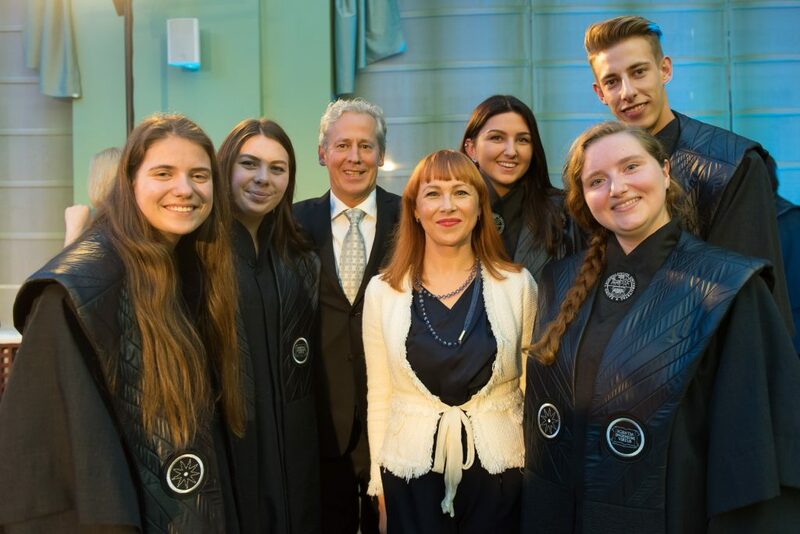 All the University community was invited to watch live broadcast of the Inauguration Ceremony on KTU Facebook page.